You may choose to take both the campus tour and visit an individual school or college in the same day! Read what each school or college has to offer below. Register through our Campus Visit Calendar. 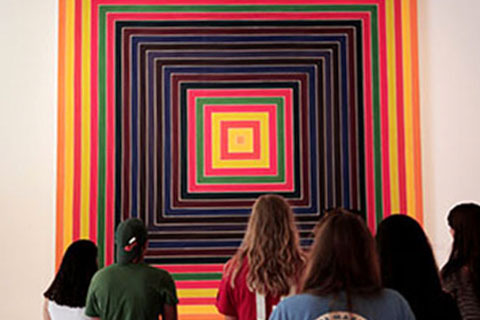 Prospective students interested in the School of Architecture are encouraged to register to visit the with faculty and students to learn about how coursework is linked to service and community-based research, and discover opportunities for internships and other experiences outside of the classroom. Prospective students will be able to shadow a current Architecture student as well as meet with a member of the School of Architecture staff to help answer any questions about the program. 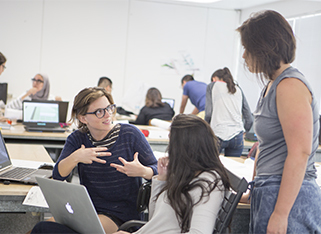 School of Architecture offers meetings with faculty and an opportunity to shadow students Monday – Friday for students who register one week in advance. The College of Arts and Sciences is pleased to offer prospective students the opportunity to sit in on a class to experience the academic flexibility offered to students and the faculty who are engaging them in meaningful ways. Classes are offered Monday – Friday. There are a limited number of classes to visit. Please register one week in advance to request to visit a class. Hosted by academic advisors, faculty and students, the Miami Business School offers special presentations for prospective and admitted students interested in pursuing a degree in Business Administration. 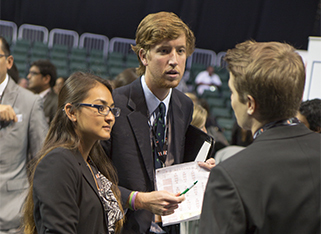 Participants will have the opportunity to hear about the different academic concentrations, internship opportunities and first-hand experiences of University of Miami students majoring in Business. Presentations are scheduled Monday – Friday at 2 p.m. in the Merrick Building, Room 104. In order to take advantage of this opportunity, please register at least one week in advance. 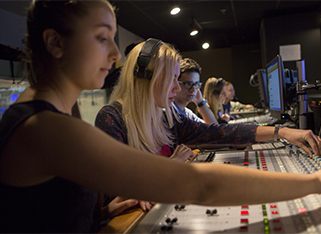 The School of Communication is pleased to offer students an opportunity to take a tour of the facilities available led by a current student as well as the opportunity to sit in on classes and meet with faculty members who will share their experiences and share with students how the School of Communication prepares students for their creative industry of choice. 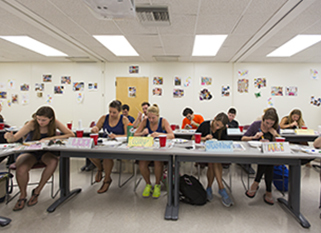 School of Communication tours and meetings with faculty are offered Monday – Friday. If you are interested in sitting-in on a class, please register at least one week in advance. Faculty and academic advisors from the School of Education and Human Development invite you to join them for one-on-one meetings to learn more about the curriculum offered, unique internship opportunities and success stories of recent graduates. Prospective students will be able to ask questions and learn about the programs we have to offer. With advance notice, prospective students will also have the opportunity to sit in on a class in an interest of their choosing. The School of Education and Human Development offers visits by appointment Monday – Friday. Prospective students may request to attend a class with advance notice. Prospective engineering students and their guests are invited to visit the College of Engineering which features a 3-D Printing Collaborative laboratory, active learning classrooms and hands-on opportunities to work in research laboratories or perhaps with the Institute for Big Data Analytics. 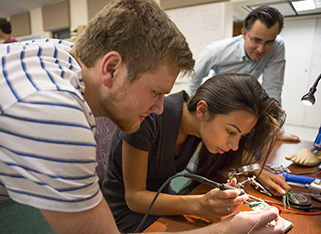 In a specifically designed session, visiting prospective students will learn about our engineering academic programs, extracurricular opportunities, internships and support services. The College of Engineering offers visits by appointment Monday – Friday with two-week advance notice. 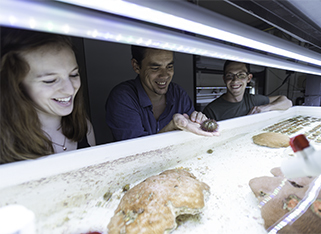 Join members of the Rosenstiel School of Marine and Atmospheric Science for an information session with undergraduate faculty advisors. This is an opportunity for our visitors to hear from representatives from RSMAS as they introduce you to the many opportunities for varied academic pursuits. Prospective students are invited to join the RSMAS campus tour, designed to highlight how we engage in discovery and collaborate on research projects aimed at solving global challenges. Visits are hosted on the Coral Gables campus at 12:45 p.m. Mondays through Friday by appointment only. Click here for more information about how to schedule your Rosenstiel School of Marine and Atmospheric Science information session and tour. The Frost School of Music (FSOM) is pleased to offer prospective students and their families a personalized visit experience Monday - Friday. You must contact the FSOM Office of Admissions to schedule these activities and we require at least a week advance notice of your visit. Please click here for more information about how to schedule your visit at the Frost School of Music. 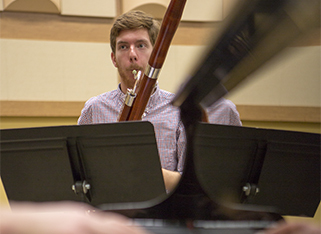 A one-on-one meeting with a member of the Frost School of Music admission staff, a tour of the school led by a current student, and the opportunity to sit in on classes can all be included in your visit. Students interested in visiting Frost may also connect with faculty in their area of interest. Contact us now at admission.music@miami.edu. 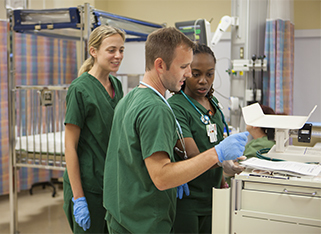 The School of Nursing and Health Studies provides student-led tours of our facilities, including our state-of-the-art Simulation Hospital, on Mondays and Fridays from 1:30-2:30 p.m. These are the best times to speak directly with our personnel. To join a Monday or Friday tour, please check in at the 1st Floor Reception Desk in the School of Nursing and Health Studies main lobby. No appointment is necessary. If you are not able to join us on a Monday or Friday, you can schedule a one-on-one meeting with the Office of Student Services (OSS) anytime between 9:00 a.m. and 3:30 p.m., Tuesday through Thursday. Although we are unable to provide a full tour at that time, our personnel will discuss the academic, experiential, and global opportunities available to students and provide a brief glance into one of our classrooms and simulation areas. Please call 305-284-4325 to schedule a time to meet.